Healthier than ever before, the gift card has changed its image and name: the industry is now talking about it as a “Branded Currency”. This was discussed in Chicago at the Flourish Conference this month, where we at Amilon, had the pleasure of participating. The Conference was dedicated to the “blooming” of Branded Currency, be they gift cards, loyalty points or coupons. This currency is available to retailers to deliver their marketing strategies in a new way, to enable customer acquisition, to build loyalty, to give the customer a convenient and increasingly unique experience. But why has the gift card changed its name and reworked its image? Because the market is transforming it into a different product, one which is digital and for personal consumption. So, no longer will there be only gifts and no longer will there be cards. Digital, thanks also to Amilon, who has been a flag-bearer for more than 10 years, has now outgrown the physical dimension: with digital gift cards now received by e-mail, downloaded and spent by presenting the smartphone at the cashier. In addition, digital allows the prize or the gift in real time: from the moment of desire to the purchase decision, this can be completed in just a few minutes, sometimes only seconds: I need to pay the bill, I enter the corporate welfare portal, I download a voucher and I pay in cash with my mobile phone. Here is the winning Customer Experience. And why is a gift card no longer just a gift? The gift dimension still exists, but also here always more digitally. Today the gift card is increasingly used for personal consumption, thanks to promotions that allow purchases at a discount, and if well activated by retailers, facilitates the acquisition of new customers. Finally, gift cards are chosen mostly for personal consumption, within the fringe benefits programs of corporate welfare plans. Company employees have a budget made available to them in gift cards, convertible into credit for shopping vouchers, generally for the most useful purchases, from petrol to the supermarket. This is why the gift card has become a “Branded Currency”, a powerful tool available to retailers and to companies to incent and motivate employees. No more cards and ever fewer gifts. April 2019 starts with an expansion in Amilon’s catalogue: not one but four brand new digital gift cards are now available for companies to reward and incentivize their customers and employees in four different European countries. Various categories are covered by these valuable additions: department stores and e-commerces, ticketing and events, supermarkets, tourism, travel and transports. Regarding Spain, the already broad variety of gift cards – among which: MediaMarkt, Decathlon, Ikea, El Corte Inglés, CEPSA and many others – is enriched by the addition of FlixBus digital gift cards. Companies in Spain can reserve a bulk of digital codes for their employees and reward them with the opportunity of travelling to over 2000 different destinations in Europe and in the South-West of the USA. FlixBus offers its customers many comforts, as well as a useful mobile app to book and monitor their travels. These gift cards have a validity of 18 months after their delivery. Another highlight is about De Bijenkorf: the well-known chain of high-end department stores in the Netherlands is now part of Amilon’s offer thanks to its digital gift cards that can now be chosen for valuable business gifts and incentives. De Bijenkorf is present in Europe with 7 stores nationwide in: Amsterdam, Rotterdam, The Hague, Eindhoven, Utrecht and Maastricht. Customers can also use their De Bijenkorf digital gift cards to shop online in an exclusive e-commerce that includes a wide offer of clothing, jewellery and watches, living&leisure and outlet items, covering all the needs for women, men and children. Discover also the exclusive section dedicated to helping customers find a special gift for any occasion. De Bijenkorf Gift Card has no expiration date and can be used to shop any item included in De Bijenkorf’s catalogue, with the exception of Dutch books. In order to be used to shop online, customers have to previously activate their reservation code on a dedicated website. Germany also has a new opportunity to integrate with broader welfare plans or incentive programs that is Rewe digital Git Card: the perfect business gift to shop online and in all the Rewe supermarkets in Germany. These gift cards are extremely useful and they represent an interesting option as welfare benefits. Customers need to activate Rewe digital Gift Cards on a dedicated online platform, before they can use them to shop online and in-store. 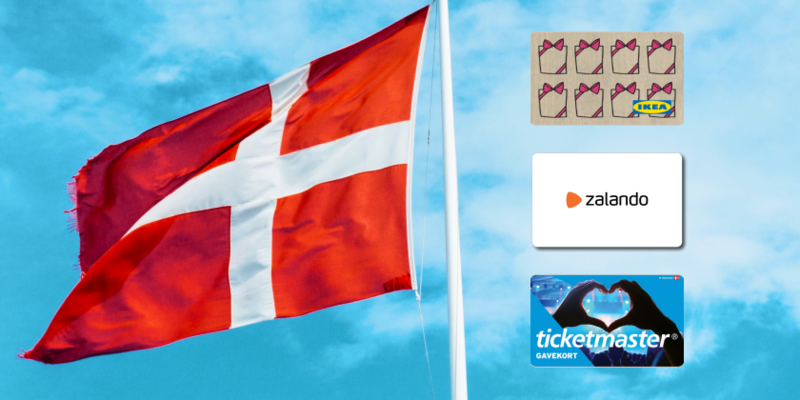 Finally, Ticketcorner gift cards are now available for Switzerland, meaning that the Swiss most influential and relevant online ticket platform is part of Amilon’s offer. The main strengths of these cards are that they can be used to buy tickets for all the numerous events included on Ticketcorner.ch and they have a validity of 12 months after their activation. Amilon’s catalogue grows always richer, offering even more brands of different categories and different European countries. We are constantly consolidating our partnership with European Retailers, in order to include as many local brands as possible, because we understand the importance of loyalty in shopping, as people tend to shop in those stores they are familiar with. Giving someone a local gift cards means getting something that will surely appreciate. Reserve a bulk of digital codes to reward and incentivize your employees and customers in Spain, Germany, Netherlands and Switzerland and get them a business gift that will not go unnoticed! Write us an e-mail to request the digital cards. On February 28th,2019, we had the pleasure of participating as speakers at the “Be Customer-Centric” event, organized by Commanders Act. The multi-channel campaigns and the models of attribution in the field of sales related to digital communication channels were both the theme of the meeting and the subject of our presentation. This topic is particularly interesting considering it in relation to our core business: the distribution and sale of digital gift cards. Applying the attribution models to our business activity– enables us to significantly optimize the revenue we get from distributing gift cards through all the existents B2C (e-commerces) and B2B ( incentivization of employees and welfare benefits) channels. The purpose of our speech at the Commanders Act meeting was to analyze the full potential of getting a digital gift card in the customer journey. The main strength of the attribution models is the fact that the ID of the gift card — that may be a gift or a voucher issued for less than its par value — can always be associated with the user CRM ID, thanks to a pixel inserted in the registration page. A link between the customer’s CRM data and his/her previous interaction with our digital campaigns. All the data related to the purchases made by the customer using the gift card and consequent to a specific sales campaign. The most significant consequence is that all the efficacy analysis of the “Paid” channels will become stronger: thanks to the gift card use, the turnover of the physical stores will be added to the e-commerce turnover. This strategy has a major point of interest: the attribution models and the models for ROI analysis will take into account the impact of digital advertising on the sales of physical stores. These data could not be calculated until recently, but are of great relevance: a campaign or a channel can give disappointing results if assessed only in the light of the turnover generated by e-commerce, and reveal a very different reality if considered in the light of the turnover generated by physical stores. The link between the CRM data and the interaction with the digital campaigns allows us to identify the profile of the “clickers” and therefore to optimize the programmatic advertising in an effective and targeted way. Digital gift cards are therefore an effective tool for captivating existing and prospective customers; they also play an important role in optimizing digital advertising budgets. This is an additional remarkable advantage, which we offer to retailers and customers interested in increasing their business, expanding their customer base, and strengthening the loyalty of their existing customers. Amilon has had a facelift in 2019, merging with ECRM Italia. Together they have joined forces to share the experiences acquired over more than twenty years of business activity. The goals of the operation are to create an even more complete organisation, offer a new range of services and build further on the surprising growth recorded over the past 5 years: a 100% growth rate and rapid expansion in the European market. The new Amilon is thus an international-level company combining ECRM Italia’s experience in the areas of loyalty management and data analysis with Amilon’s technological and digital innovation in the sphere of gift cards for incentives and rewards. This new structure has naturally resulted in a significant change to what it can offer the market. This now ranges from digital gift cards distributed through all available channels (B2B and B2C) to effective strategies for sales campaigns based on its “premium marketplace”, namely the data of which Amilon is the exclusive owner. This guarantees absolute security for retailers using the system. This new proposition, prepared by a brand new internal structure, is able to compete in the international market. Valerio Pacaccio is the new COO as well as board member, working alongside Andrea Verri, Fabio Regazzoni and Renato Buontempo. The new Amilon positions itself as a European pioneer regarding the creation and management of modern retail strategies, centring on the adoption and use of its “Branded Currency”. This innovative offer brings together in a single “ecosystem” loyalty points, coupons and gift cards, with the convergence of digital incentives, rewards and loyalty management. These strategies, having a high yield potential, lead to higher sales volumes and offer consumers a new, convenient and fun customer experience, enabling retailers to broaden their customer base and to increase the loyalty of existing customers. Amilon has the expertise and the full stack of technologies to offer retailers high-potential sales strategies based on Data Monetisation, within its fully controlled and protected premium marketplace. The target audience is carefully singled out, making it possible to define consumer profiles, from those who might potentially become customers, based on their interests, to those having a real intention to purchase, already being in possession of a gift card that will presumably be spent in the near future, so-called future buyers. All of these data are gathered in a premium marketplace, in which sales are managed solely through direct agreements with single advertisers, and not in open-market mode, guaranteeing absolute security. It is not only Amilon’s new offers that are of considerable interest: products that have defined the history of Amilon’s incentive and reward schemes remain valid solutions for businesses and retailers, indeed the company’s flagship products. Idea Shopping has proven to be a top-notch product on a day-to-day basis, continuing to attract new B2C users as well as the B2B public: companies that use Idea Shopping gift cards as incentives, rewards and corporate gift items, welfare benefits and loyalty schemes, and the platform itself, offering their employees, collaborators and customers an exclusive shopping experience on a customisable website, in keeping with the company’s brand identity. The same holds true for Job&Joy, Amilon’s modern online platform that offers managers and businesses a digital tool for independently creating and managing reward and incentive campaigns for employees and sales forces, adopting a “turnkey” model. The platform is fully customisable in terms of colours, presence of the company logo, reward campaigns, invited participants and a catalogue of gift cards available for single campaigns. All of this is the new Amilon: willing to offer customers and retailers unprecedented full support and assistance, and ready to write a new page in the Italian (and international) story of loyalty, rewards, incentives and media. Amilon and PTA Group’s partnership is getting stronger and it has brought another relevant addition to Amilon’s catalogue. In fact, together with Il Centro (Arese) and Carosello’s ( Carugate) gift cards, Le Befane’s digital card is now available too. The Shopping Center Le Befane is located at just 3Km from Rimini’s city center and it includes more than 130 stores that cover all categories: from clothing, shoes, health and beauty items, to home décor, furniture, electronics, restaurants and entertainment. This gift card enables customers to enjoy a renewed and more comfortable shopping experience, since it can be used to do shopping in all the numerous shops and restaurants included in the shopping center. Zara, Unieuro, Apple Store, GameStop, Vans, Guess, Hollister, Bershka, Calzedonia, Intimissimi, Tezenis, The North Face, KIKO, Lush, Pandora, Original Marines, Nike… are just some of the brands that customers can find at Le Befane. Moreover, the shopping center also includes Conad Ipermarket, which is the second Italian retailer in the supermarket category. Not only Le Befane is the perfect place to do shopping in Rimini, but it also offers customers the opportunity of spending their leisure time by offering several entertainment activities thanks to the presence of many restaurants, bars and above all the 12-screen Multiplex Cinema and the parking lot with over 3500 spaces. Le Befane digital card is the ideal solution for companies that are looking for a valuable incentive to reward their employees and customers in Emilia-Romagna with the gift card of a very attractive shopping center with a renewed customer experience, that makes it interesting from both a business and social point of view. Le Befane Gift Card has to be activated at the shopping center info point before it can be used for shopping. It is non-cumulable and has a validity of 12 months. Idea Shopping Tech is Amilon’s new multi-brand gift card, that can be used to do shopping on an exclusive catalogue of tech and electronics brands only. It is a variant of Idea Shopping gift card that is Amilon’s flagship product: a unique and extremely versatile digital card, which is highly requested and appreciated. It is the perfect card for any gift and occasion: those who receive it can decide how to use it, freely choosing among a catalogue of over 100 well-known Italian and international brands, covering all categories from food, clothing, fashion, supermarkets, sports and leisure time to travels and hotels, relax and wellness and e-commerce. Its most relevant characteristic definitely is its versatility: it qualifies it as an extremely original gift, that not only friends and parents will surely appreciate but also employees and clients, receiving it as fringe benefit, welfare bonus and incentive. Thanks to its incredible success, we have already created different versions of this digital card, distinguishable by the gift card catalogue they can be spent on and for their targets, covering both B2C and B2B channels. This variety is a huge advantage not only for consumers and B2B clients, who can make use of a convenient product, quick and innovative for their gifts and shopping, but also for retailers who are looking for increasing their sales volumes, reaching a broader consumer base. Idea Shopping Tech is Amilon’s catalogue new entry: it has been developed specifically to give users the most comfortable shopping experience for every tech item they wish to buy, from the most famous e-commerces and stores for electronics and technology. Computers, printers, videogames, electrical appliances, smartphones, consolles, CDs, DVDs are just some of items users can buy with Idea Shopping Tech. Amazon.it, MediaWorld, Spotify and Trony are just some of the relevant brands that make Idea Shopping Tech’s catalogue really interesting, qualifying it as a highly valuable gift for both B2C and B2B channels. Idea Shopping Tech is available on all our e-commerces for Italy: to final customers on Giftiamo and to companies on Giftcard Store. Our sales team is always available to offer the best solution that meets every company needs and requests. Amilon’s catalogue now includes CONAD’s digital gift cards: the second Italian retailer in the supermarket category is available for companies who are looking for successful gifts and incentives for their employees and clients. This is a very important partnership which significantly increases Amilon’s presence in Italy: the high number of CONAD’s stores allows Amilon to enlarge its client base, by finally offering an interesting solution, available also for all those Companies based and operating in the southern part of Italy. The great value of this collaboration is also measurable by considering the deep concern CONAD shows for the environment, making eco-sustainable choices for the feedstock supply, recycled materials and sustainable logistic means used. Thus, CONAD is a valuable partner, capable of sensitize customers by positively influencing their consumer and shopping decisions. Another highlight is the increase in CONAD’s positive outcome for 2018, which is an outstanding result in a scenario dominated by a crisis in the consume and food sector. This remarkable outcome results from huge investments made to encourage both development and the protection of customers’ purchasing power. Thanks to CONAD’s significant presence all over Italy – especially in the South -, its eco-sustainable orientation and its generous investments, CONAD is the second Italian retailer in the supermarket category and it is the most loved supermarket by many Italians. For all these reasons, CONAD digital gift cards are a highly valuable addition to Amilon’s catalogue, being a very interesting option for the welfare and incentive sectors: getting these cards as benefits or business incentives will surely be very satisfying. 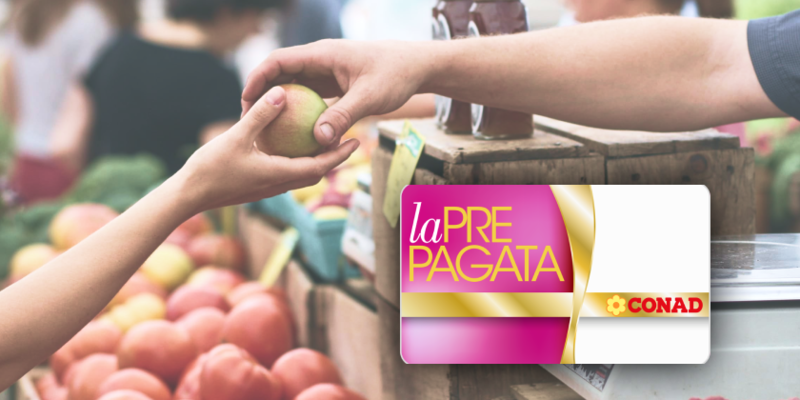 This is a very interesting offer among those proposed by Amilon, not only because supermarkets’ gift cards are always very appreciated as business gifts, but also because they can be used to shop in a very high number of stores distributed all over Italy. As first news of the new year, Amilon is proud to announce that Denmark is now part of its network. Companies operating in Denmark will be now able to benefit from Amilon’s solutions for incentive and reward programs. This is a great opportunity, since digital rewards and gifting are getting always more interesting for companies who are looking for a modern and original means to show their appreciation of both their employees’ work and their clients’ loyalty. Our catalogue now includes three brand new digital gift cards that can be spent in Denmark to enjoy online and in-store shopping, making incentive, reward and welfare plans easier for companies — thanks to the digital delivery. Zalando’s gift card is a highly valuable business gift that can be used for shopping online the greatest variety of shoes, clothes and accessories for women, men and children. The broad selection of brands available on this online platform makes it a great choice to satisfy anyone’s tastes. Also, there is no expiration date or minimum order value for Zalando gift cards. Moreover, employees and customers will surely enjoy Ikea’s gift cards to buy everything they need for their house, garden and office both online on www.ikea.dk and in all the stores of the worldwide famous Sweden furniture and design company. Ikea’s digital gift cards have a validity of 12 months. Finally, Ticketmaster’s gift card can be spent on the entire variety of entertainment activities that this famous online platform constantly offers, also frequently updating and enriching the list of the available theatre plays, movies, concerts, sport events and much more. This is a great start for us and we will soon enrich our offer for Denmark, being sure that this addition to our network will be another remarkable success. The category “fashion” of Amilon’s catalogue has been enriched by two brand new gift cards: United Colors of Benetton and Sisley. These famous Italian retail brands are an important addiction to Amilon gift cards’ offer: their quality and style has contributed to Italy’s worldwide fame for textile materials’ choice, sartorial precision and artistic creativity. United Colors of Benetton is the notorious brand for the brilliant colors of its clothes and the fashionable items for men, women and children. Furthermore, this company pays great attention to the eco-sustainability of production processes, playing a leading role in Italy for its green choices. Sisley is another important Italian retail brand — owned by Benetton Group —which offers to its customers stylish clothing, footwear and accessories for men, women and children with strong personalities. This company stands out for its unique creativity and its cutting-edge aesthetics, always updated to the latest fashion hits. Amilon recommends these gift cards to companies who are looking for the perfect incentive and reward for their employees or customers. This business gift will hardly go unnoticed, since final customers will surely enjoy shopping clothes and accessories in the stores of these important retailers. 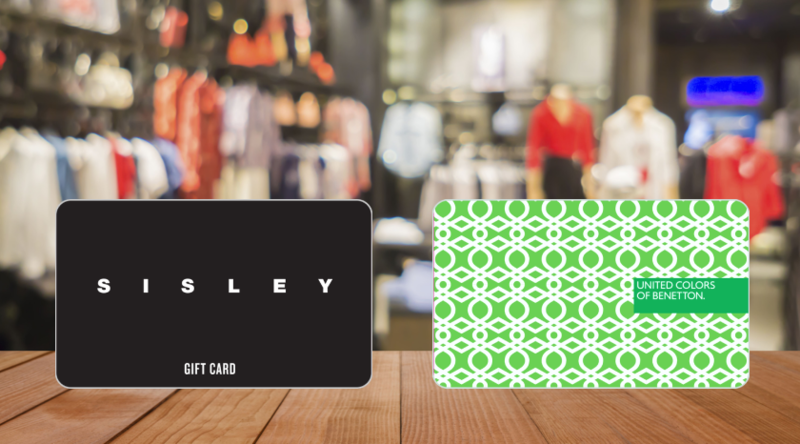 Both these digital gift cards can be used for shopping in all Benetton and Sisley’s stores listed on the respective companies’ websites. The validity of these gift cards is 12 months, they are not cumulable and cannot be used to buy other gift cards of the respective brands.